Hated and feared for being born different than the rest of humanity. Sound familiar? 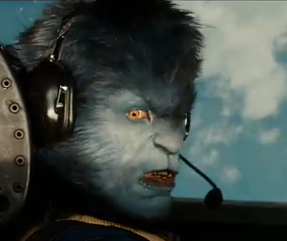 The X-Men: First Class trailer debuted online today. Just one problem: It looks awful. First Class is clearly not based on the comic book that it takes its name from. That story is a retelling of Cyclops, Marvel Girl, Beast, Iceman, and Angel’s earliest adventures set in modern times while under the tutelage of Professor Charles Xavier. Think XBox, iPods, Frappuccinos. This is something entirely different. We recognize Emma Frost, Moira McTaggert, Pixie, and Beast in his cat-form. None of these characters (with the exception of maybe Moira) should be here. We’ll definitely see the film, but it’s disappointing to see FOX get so wrong what Marvel has gotten so right for their properties produced independently under their own studio. Iron Man, Hulk, and the upcoming Thor and Captain America are all gorgeous films that take place in basic Marvel continuity. Bummer. Check out the trailer and tell us what you think. Will you be seeing X-Men: First Class?